Nifty PSU Bank index has gained 4% in the past two days. It hit an intra-day high of 3,249 on Wednesday, its highest level since September 4, 2018. Shares of public sector banks were trading higher for the second day in a row with Nifty PSU Bank index gaining 4 per cent in the past two days on the National Stock Exchange (NSE). The PSU bank index hit an intra-day high of 3,249, its highest level since September 4, 2018, as stressed assets enter into declining phase. 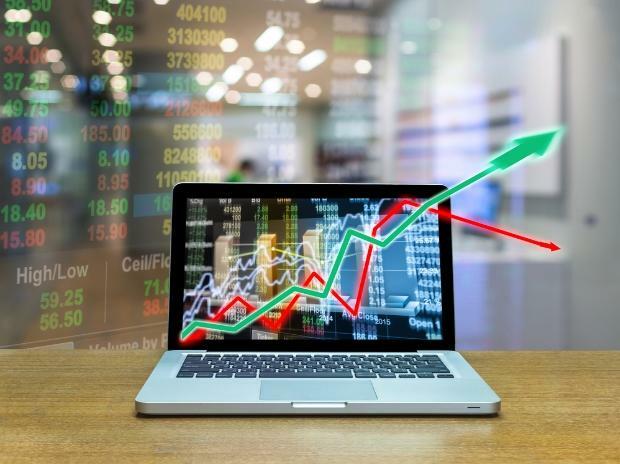 At 02:35 PM, the Nifty PSU Bank index, the largest gainer among sectoral indices, was up 1.5 per cent at 3,227, as compared to a marginal 0.05 per cent decline in the benchmark Nifty50 index. Nifty Bank and Nifty Private Bank index were up 1 per cent each. Shares of State Bank of India (SBI) were up 2.4 per cent at Rs 311 on the NSE in intra-day trade on Wednesday. The stock of state-owned lender was up 6 per cent in the past two days, after the banks, led by SBI, said they will convert their debt into equity and take a controlling stake in the Jet Airways for a token sum of 1 rupee. The stock is 5 per cent away from its 52-week high level of Rs 326 on August 10, 2018. Analysts at JP Morgan have ‘overweight’ rating on SBI with March 2020 target price of Rs 400. We think the bank’s core return on equity (ROE) will reflate from FY20 onward as the company crosses the “hump” on provisions and non-performing lending (NPL) recognition over FY19. With the large part of credit costs and operating costs behind it in FY19, SBI should start reverting to normalized profitability from FY20 onward, in our view, and the bank should hit the target ROA of 0.8-1 per cent over FY20-21,” the brokerage firm said in the report dated March 11, 2019. Oriental Bank of Commerce hit a fresh 52-week high of Rs 114, up 6 per cent on the NSE. Union Bank of India, Canara Bank, Bank of India, Punjab National Bank, Indian Bank and Bank of Baroda were up 1 per cent each on the NSE. Higher non-performing assets have adversely impacted the profitability and growth of Indian Commercial Banks in the last several years. The banks seemed to reach its peak level of NPA in FY18 and have shown a declining trend in the total stress assets (GNPA + Standard Restructured Assets) during FY19. GNPA in PSU Banks declined to 13.1 per cent as on 9MFY19 from the peak of 14.6 per cent in FY18, according to an analyst at Narnolia Financial Advisors.